I realize most of you won't be interested, but I'm putting this post up just in case. 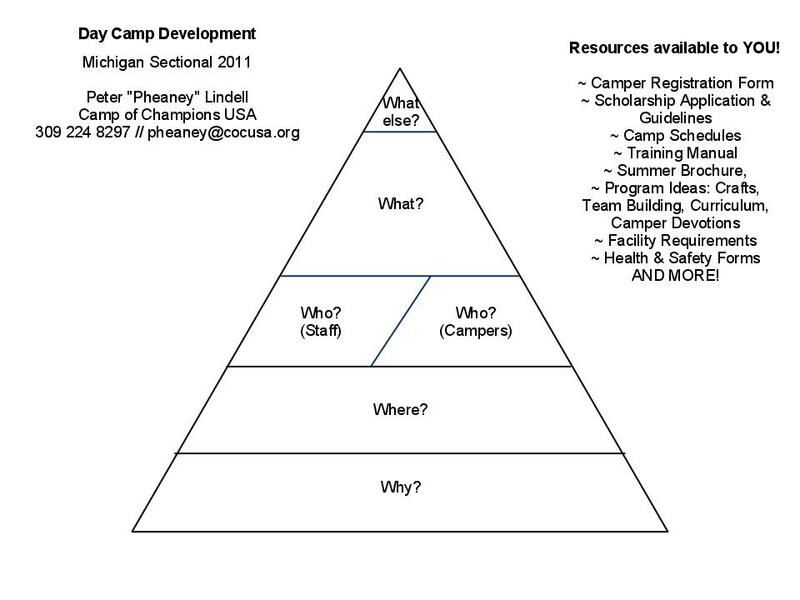 I (and my fellow staff at Camp of Champions) would love to dialogue with you about starting a day camp. Here's what my handout looked like... 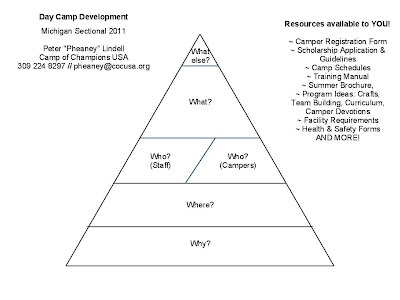 The Day Camp Pyramid!